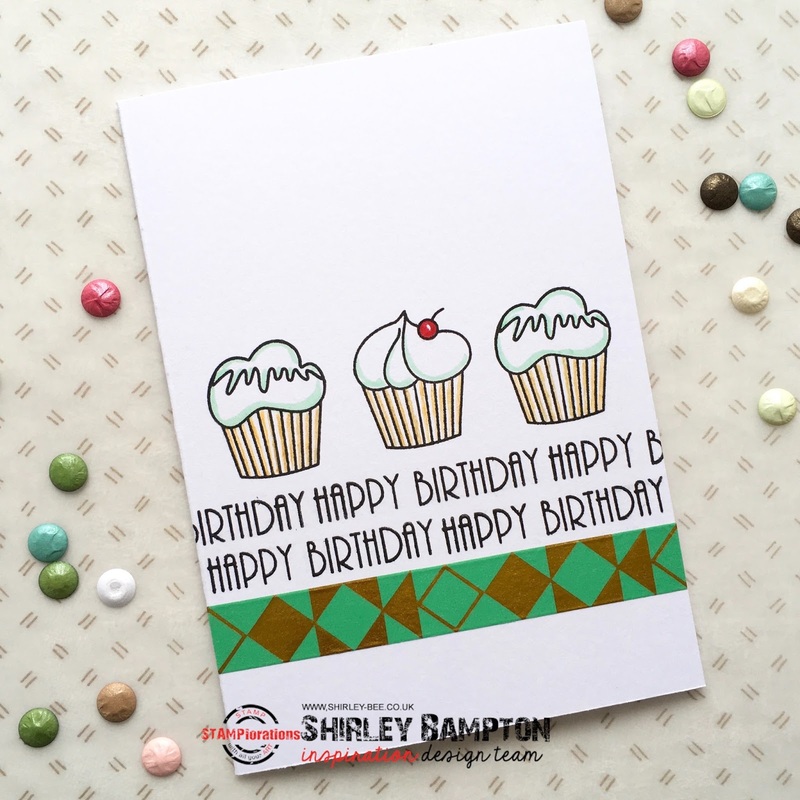 Beautiful card :) those cupcakes look so yum ! Perfect design for a masculine card! This sweet, clean & simple beauty makes me smile really BIG! I ADORE the cupcake images! So cute...love those sweet and yummy cupcakes! Fun card. Who wouldn't want cupcakes to celebrate a birthday? The washi tape finishes off the card so well. Thanks for sharing. Fun birthday card, Shirley. I love your gold accents, multi stamped cupcakes, sentiment and your Washi Tape. TFS my friend. Hugs..
Would be a great masculine card too. Those are so hard to design.